Prince Georg Friedrich, Prince of Prussia and head of the House of Hohenzollern in Germany, celebrates his wedding today with Princess Sophie of Isenberg. The ceremony will take place in the Church of Peace. This is near the Palace of Sansoucci just outside of Berlin. They married privately in a civil service back in April but this will be a semi-public affair. After a sleepy couple of decades for German royalty, this is a big deal. Perhaps a nod to the extravaganza that was the nuptials of the Prince’s better-known relative in England earlier this summer. Not many folks, I’ll wager. Yet to some extent, this event is a link to the past which affected a whole lot of folks in the twentieth century. Besides, on the whole, the history of Germany during its Imperial phase is mighty interesting stuff. We all are familiar with the Kaiser. The prince looks just like him. 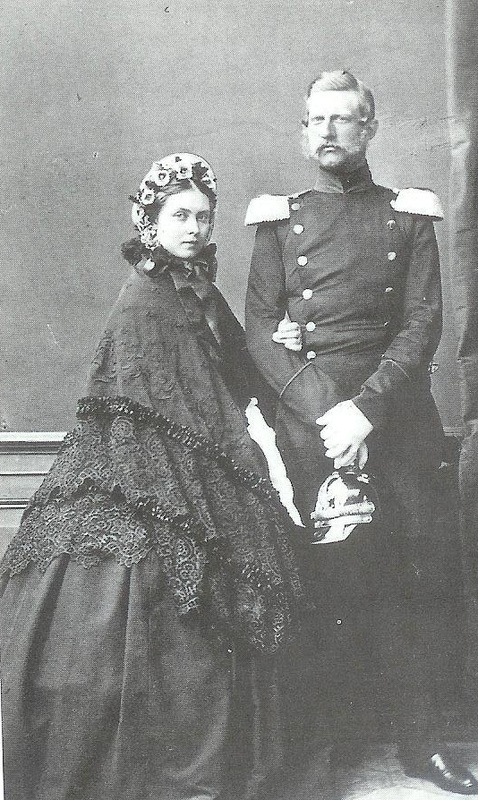 Bismark detested the Kaiser’s parents, Fritz and Vicky. Vicky looks a lot like her mum, Queen Victoria. Fritz, Kaiser for 99 days, looks like no one in the family. Which was a good thing—what a looker. The church where Georg will marry contains a beautiful mausoleum that houses Fritz and Vicky’s crypt. Uh, oh. Got off topic. It’s hard not to draw links to the past. 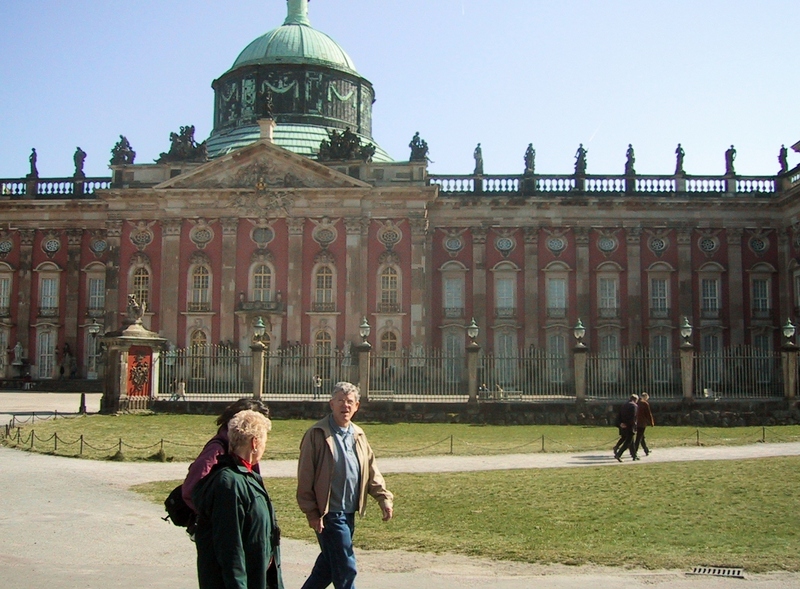 Go to the Imperial complex in Potsdam and you’ll know what I mean. Like any other lover of history who delights in finding traces of the past in the present, I think the House of Hohenzollern remains a powerful conduit of German heritage and not just because of its 900+ years of existence. A legacy has been left to the current prince and the children he will hopefully have. Not by the ancestor who he is famous for having, but the one who died before he could complete his destiny. The Kaiser who tried to confer on Germany a liberality that might have averted her from a tragic course–Friedrich III – Fritz. This entry was posted in Uncategorized by Angelyn. Bookmark the permalink. UH, OH! I think I recognize myself! Interesting article. Doesn’t the House of Hohenzollern go back to the time of Richard I (the Lionheart)? I am thinking of the time he was a prisoner of Leopold of Austria. Can’t remember if he was helped or hindered by the Hohenzollerns. Imagine a family having that much history! http://www.youtube.com/watch?v=zfN1Nu-kKdo&feature=related is a great video with wonderful German wedding music that will make you want to lift a stein in congratulations. Maybe that is you—don’t you remember how we puttered around the Friedenskirche looking for the mausoleum? And froze in the Castle Hohenzollern. The Hohenzollern family had not yet been elevated to their prominence as rulers of Prussia when Richard I was captured. It is interesting to note that Leopold of Austria and Henry VI, Holy Roman Emperor (who ought to have known better) was excommunicated for their imprisonment of a Crusader. This is a nice video of the highlights of the day. Those horses make me swoon. Thank you so much—I try….